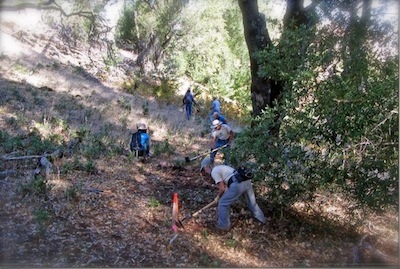 On Saturday, November 2, 2013 the Sonoma Trails Council with a volunteer work party of 40 sponsored by REI spent time readying the East Slope trail for final work in March 2014 when the trail will be constructed. 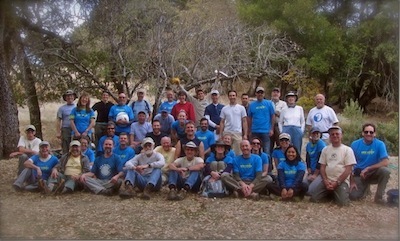 After a morning clearing brush the volunteers were rewarded for their hard work with burritos provided by Chipolte. Thank you to everyone who came out and to the wonderful businesses that supported the effort. 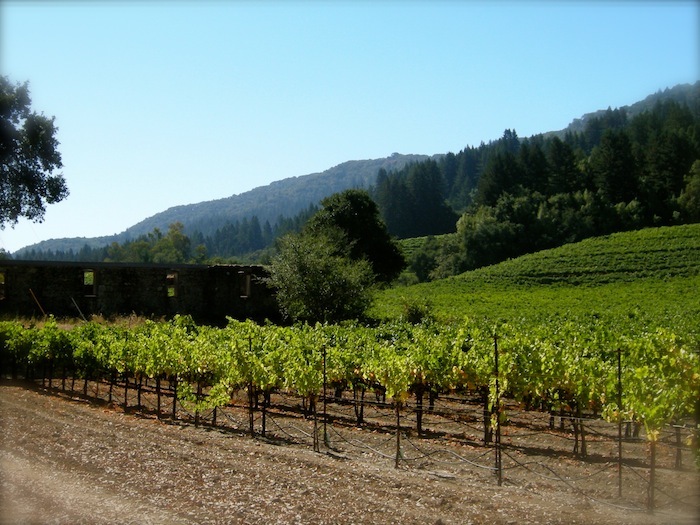 There is no more controversial property on Sonoma Mountain than the Lafferty Ranch. For many years it has been the object of a struggle between those want to open it to public access as a park and those who want no public access. SMP has constantly supported its opening to the public. The battle ranges on. 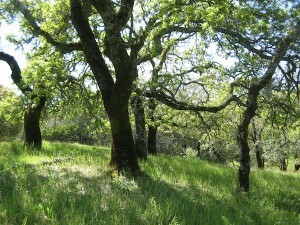 Lafferty Ranch is a 270-acre parcel (APN 136-170-001 and SMP Map B31) owned by the City of Petaluma on the southwest slope of Sonoma Mountain Road (west). 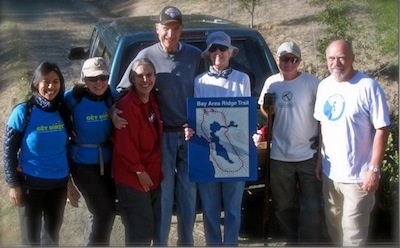 It is highly visible from Petaluma, sighting directly up E. Washington Street in the center of town Elevations on the parcel range from 1000’ to the ridgeline at 2200’. 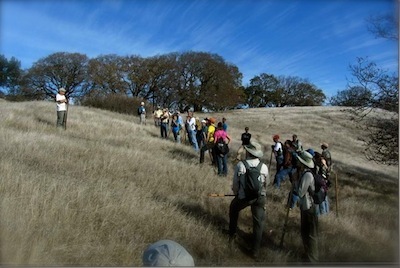 It comprises most of the headwaters of historic Adobe Creek, the most reliable water source on the west mountain, and thus a wildlife oasis in summer and fall, as well as the largest riparian oak woodland on the Petaluma side. 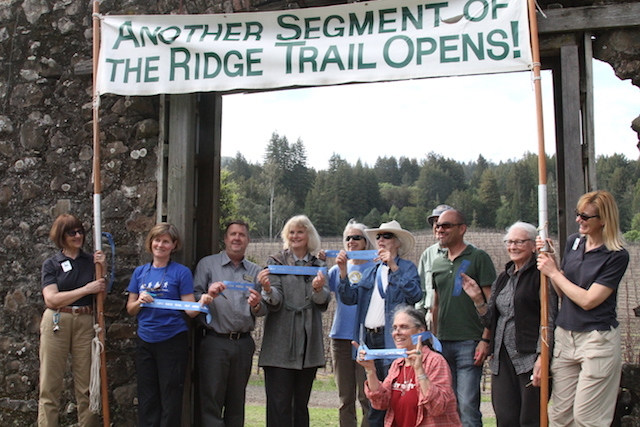 It is bordered by large private parcels, one of which controls the only road access, Sonoma Mountain Road. 1870s: A portion of the Vallejo rancho, with boundaries as they are today, is sold to pioneer homesteader Marshall Lafferty. 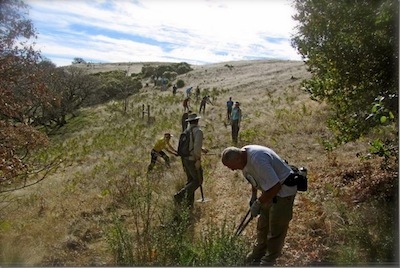 For the next 80+ years the property passes through several hands as a working ranch and private watershed (at one time, additional water was brought via pipeline form Copeland Creek at what is now Fairfield-Osborne preserve). 1959: The City of Petaluma purchases the private water company, which includes Lafferty Ranch and the downslope Lawler Reservoir. The express intent is to continue to operate Lafferty as watershed, with eventual conversion to parkland. The park goal is reflected in city and county planning documents in the early 1960s. 1992: Lawler Reservoir is deemed seismically unsafe by the state of CA, making Lafferty Ranch obsolete as an “extractive” watershed. New neighbor Peter Pfendler offers to buy Lafferty from the City of $675,000. 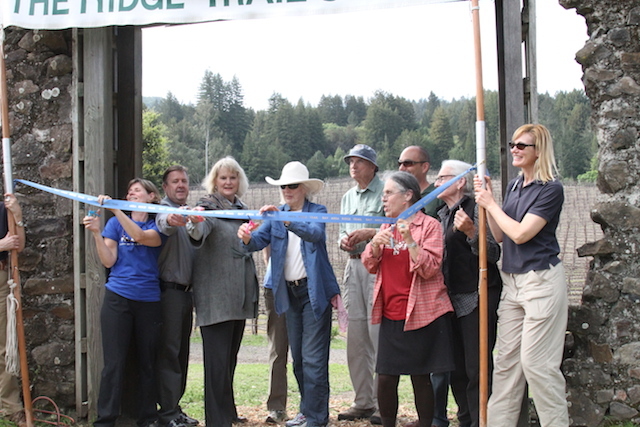 The City Council rejects the offer and takes steps to open Lafferty Ranch to the public. Pflendler threatens legal action, and the Council balks. 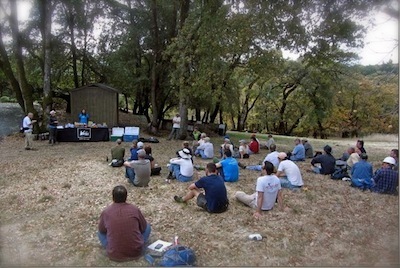 The first Lafferty Ranch support group, Citizens for Access to Lafferty Ranch, is formed with organizational help from Sonoma County Conservation Action. 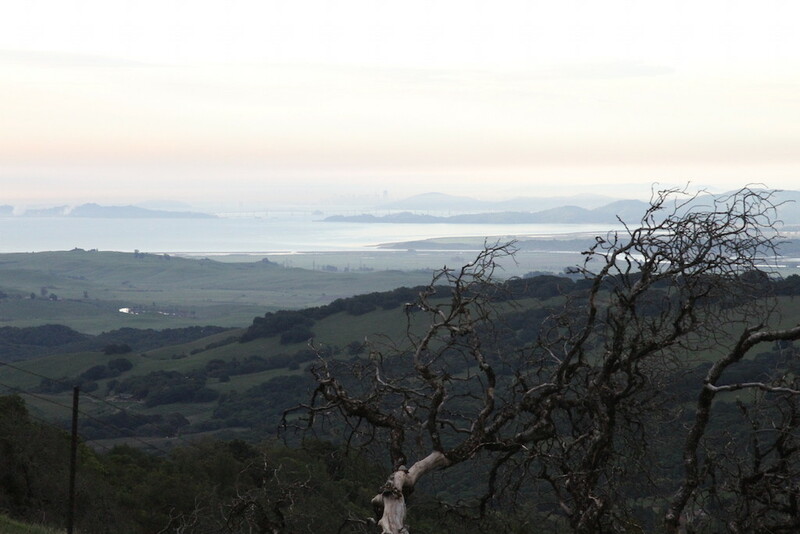 1993: Peter Pflender purchases Moon Ranch, a parcel on the lower mountain, and proposes to trade it to the county for a regional park (with funding from the new Open Space District) in exchange for Petaluma giving him Lafferty Ranch. The pros and cons of this offer are debated heatedly in the ensuing three years. 1996: Reflecting vigorous grassroots organizing by the renamed Citizens for Lafferty Ranch and a Regional Park (CLRRP), the Press Democrat publishes a poll showing Petaluma residents oppose the “Swap” 3-1, with most listing “Lafferty is irreplaceable” as their primary reason. It is an election year, and the City Council immediately starts to back away from privatizing Lafferty. CLRRP launches a “Keep Lafferty” initiative to open Lafferty and collects 5,600 signatures in a few weeks, but this initiative is ultimately disqualified on a technicality (failure to properly notice start of a petition drive). Pfendler officially withdraws the “swap” proposal. 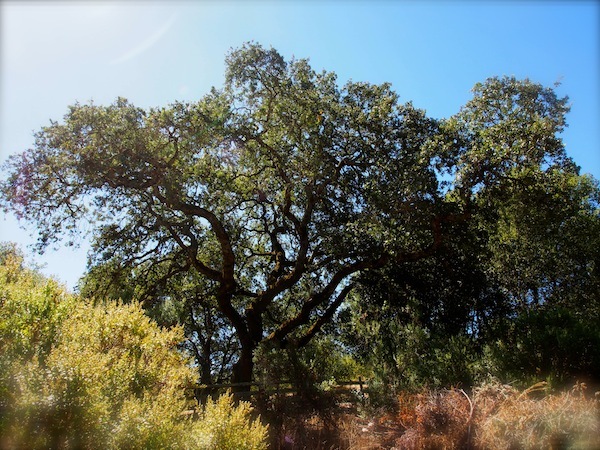 The City Council then enacts Ordinance 2022, which commits the city to keeping Lafferty Ranch in public ownership and to opening it for public enjoyment. In the November City Council elections, the three open seats are won by proponents of opening Lafferty, achieving a majority for that policy on the Council. 1997: Petaluma forms a citizens’ committee to create an access and management plan for Lafferty Park, a prelude to an EIR. Late 1990s: Petaluma works to complete a huge EIR for Lafferty Park in the face of constant legal opposition from Mr. Pfendler’s attorneys and consultants. Lafferty also figures in “proxy wars” involving parks and trails in western Sonoma Mountain in the county’s Outdoor Recreation Plan (which is still not finalized), and in Acquisition Plans for the Open Space District. 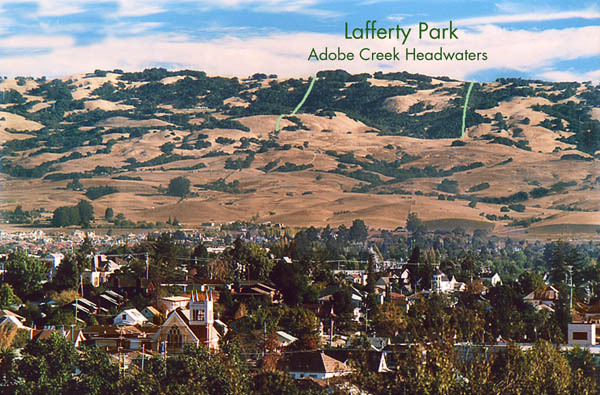 2001: The Petaluma City Council certifies the 2000 page EIR for an open space park at Lafferty Ranch. In the face of legal threats, it postpones the next step of approving the project, citing lack of funds (mostly for legal fights), and lack of County support. 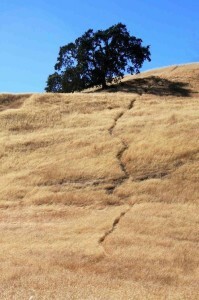 2002: In the face of legal threats and the inability to solve the access problem from Sonoma Mountain Rd., the City of Petaluma has not allowed even limited public access to Lafferty Ranch since around 1995. 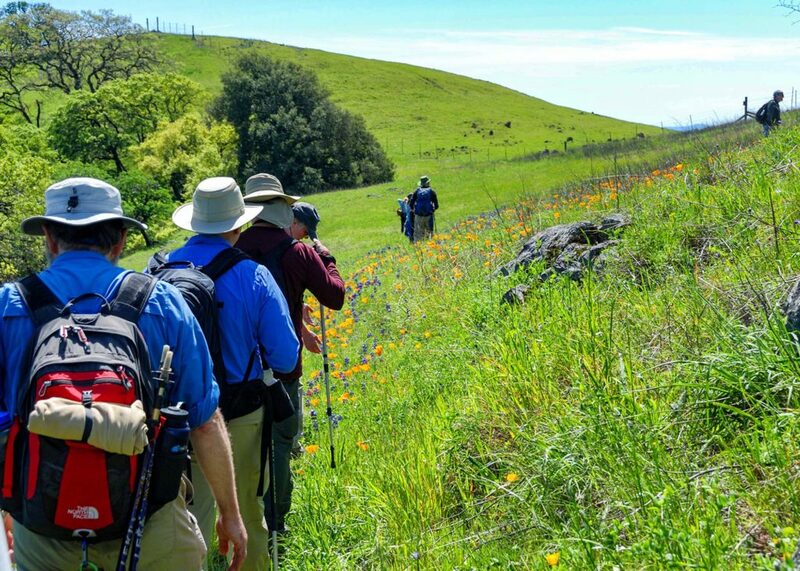 The renamed Friend of Lafferty Park organizes a series of “Walks to the Park,” 7-miles road walks from downtown Petaluma up Sonoma Mountain Road to the gate of Lafferty Ranch. Petaluma also formally requests that the Open Space District purchase the development rights to Lafferty Ranch to ensure its open space character in perpetuity and to give the city funds to proceed with park opening. The OSD rejects the request on the basis that Lafferty is already public land (despite the fact that it had done a similar deal at the Sonoma Developmental Center) and not in immediate danger of being surplussed. 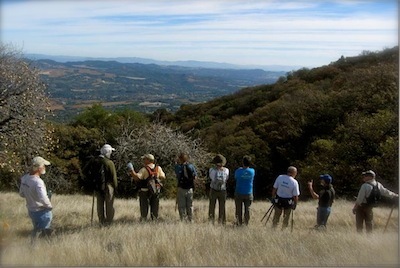 2003: Landowner Mary Mitsui offers a public trail across her mountaintop property if a way can be found to connect it to Jack London State Historic Park and the Lafferty Ranch. See the separate chronology from Bill Kortum on this topic. 2007: The stalemate continues. The Petaluma City Council has not taken on the obstructing neighbors. It also continues to reject privatization, the threat of which is still there. And there is still no public access, which is blocked by the neighbors who both control the entry from Sonoma Mountain Rd. and have made it clear that they would fight public access in the courts. 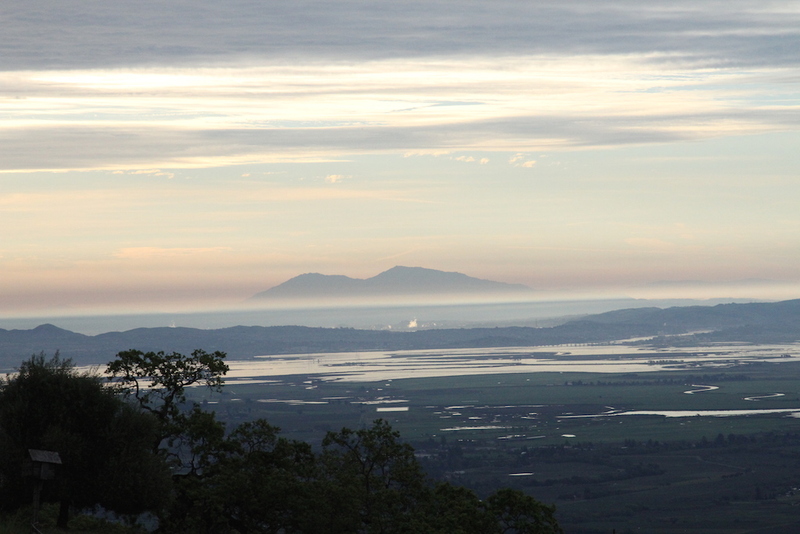 Petaluma looks up at 10,000 acres on its side of Sonoma Mountain, and there is still not a single public trail or acre of parkland in all that expanse. But there are some new developments. Three of the neighbors, including Peter Pflender, have recently died, and the future of their properties is unclear. Will new owners continue to oppose the desire of two generations of Petaluma’s to open Lafferty as a public park? SMP is monitoring these developments closely.